When Booking Appointments with a Doctor, please help us by entering a reason for your appointment. This will help us make sure you are seen by the right person for your appointment. Building work began on the Surgery's Extension on 5th November 2018 and is expected to complete in August 2019. During the period work is being carried out on the surgery we will have a reduced number of car parking spaces. The Surgery will remain open as normal throughout and disruption will be kept to a minimum. Have you changed your contact details recently? Keeping us up to date with your contact details helps us to help you. to your address, telephone number or even your email address. If you have changed your name, you will need to bring supporting documentation to the Surgery to show to a member of our reception team before a change can be made to your records. Welcome to our website. We hope to use this site as a way of presenting all our patients with an up-to-date resource for all information relating to our practice, the staff and the services we provide. We aim to keep it current with any news and developments. We also hope you will use this website as a useful source for other health- related information. Our easy to use format has the added benefit of several online functions, shown at the bottom of this page. If you are new to the area, have a look at our opening times; the practice does not cover all of the Hinckley area therefore please use the link, Our catchment area to check. Please download a registration form and come and see us. Summary Care Record (SCR) is data shared with health and care professionals, consenting to Enhanced Summary Care Record (eSCR) can help staff involved in your care make better, safer and quicker decisions because additional information is shared. 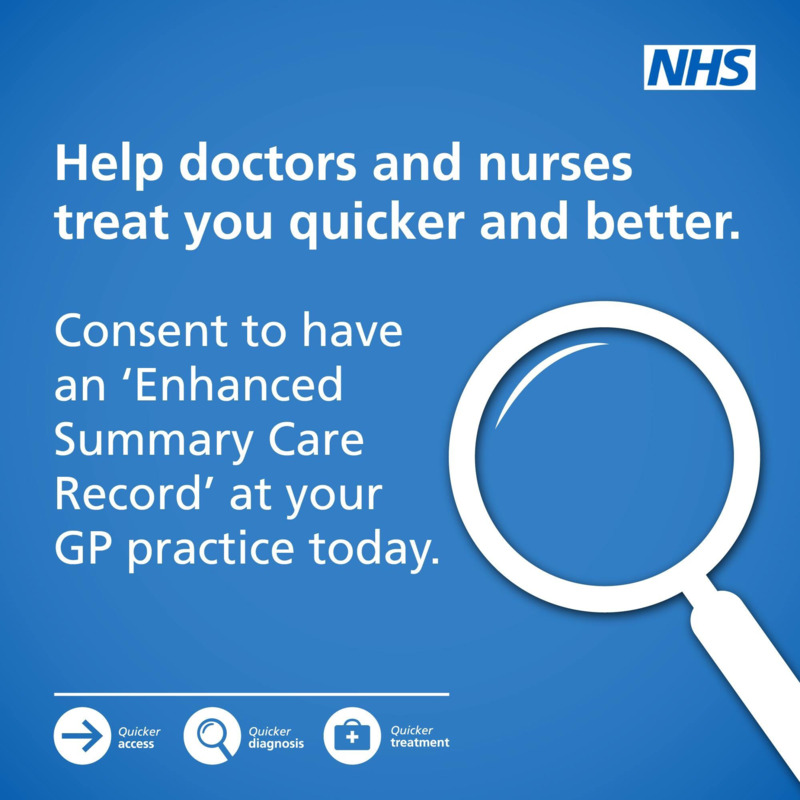 You can consent to sharing an Enhanced Summary Cared Record by speaking to Reception or a Clinician. The team are here to provide all patients with a professional and caring healthcare experience in friendly and professional surroundings. With discretion and confidentiality guaranteed your welfare is safe, secure and in good hands. Please view our Mission Statement. Please view our Patient's Charter. Please have a look around our website, we would welcome your feedback. We can use your thoughts to improve our online service and further develop the website to make it more useful for our patients. Further information has been produced by our patient participation group in our patient information leaflet.